You might think that because your vision is fine that your eyes are healthy, but receiving a comprehensive eye exam is the only way to be absolutely certain. During your visit both of your eyes will be closely examined for any signs of vision problems and eye diseases. The dilation of your eyes is a very important part of your comprehensive eye exam as it helps your doctor to get a clear picture of both your eye health and your overall well-being. To dilate your eyes, special eye drops will be administered that cause your pupils to become larger. This makes it easier for your doctor to see the back of the eye. 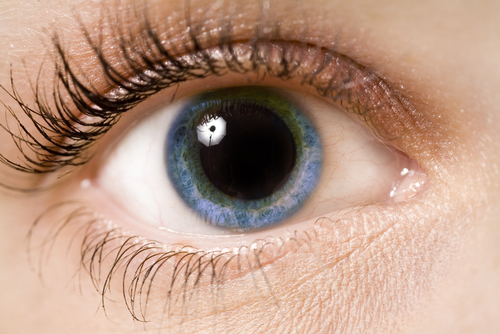 It takes about 15 to 20 minutes for pupils to fully dilate. The dilating eye drops may cause your eyes to sting. They may also cause you to experience a medicine taste in your mouth. Once your pupils are dilated, your doctor will then shine a bright light into your eyes to see various parts of the back of the eye. You’ll be asked to look up, down, left and right while the examination is performed. This helps your doctor see the inside of your eye entirely, including the macula (the center point of your vision) as well as your optic nerve, which sends messages from your eyes to your brain. Your doctor will look for signs of damage to the blood vessels in your eye that can be caused by diabetes and high blood pressure and will examine your optic nerve for signs of glaucoma. Other conditions that can be detected during your dilated eye exam include histoplasmosis, retinal tears or detachments, diabetic retinopathy, macular degeneration, and other potentially serious eye diseases and conditions. Depending on the type of drops used, dilation may last for several hours. After your exam, you may notice sensitivity to light or that your vision is blurry. You may want to wear sunglasses to help protect your eyes from bright light. Whether eye dilation is necessary depends on the reason for your eye exam, your age, your overall health and your risk of eye diseases. Annual comprehensive dilated eye exams are generally recommended starting at age 60. However, African Americans are advised to start having comprehensive dilated eye exams starting at age 40 because of their higher risk of glaucoma. It’s also important for anyone with diabetes to have a comprehensive dilated exam at least once a year. The reason behind your eye examination. Certain symptoms may require a dilated exam to determine their cause. Some conditions requiring follow-up exams may not need dilation during every visit unless there are new concerns or symptoms. Your age. The risk of eye diseases increases with age. Therefore it is recommended that people age 60 and older have a dilated eye exam once a year. Your overall health. Certain diseases, like diabetes, increase the risk of developing eye disease. Your eye health. Having a history of eye diseases that affect the back of the eye, such as retinal detachment, can increase your risk of problems in the future.